Lawn Care Service Cedar Park keeps your yard looking ​great at an affordable price. We will work with you to develop an affordable lawn maintenance plan that suits your needs as well as your budget. We offer basic lawn mowing service to more detailed services such as, lawn seeding, lawn fertilizer service, lawn aerating, weed control, patching, and controlling weeds and lawn diseases for residential and commercial customers. We tackle all things lawn and landscaping related so your exterior looks great all year long. We are your best choice for lawn care Cedar Park. ​An effective lawn care program should start early in the year and follow through Summer and Fall. 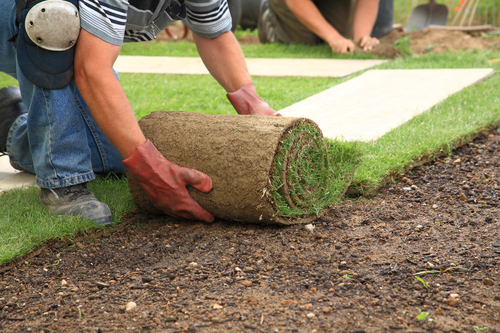 Planning and executing a maintenance schedule to keeps your grass healthy and maintained. 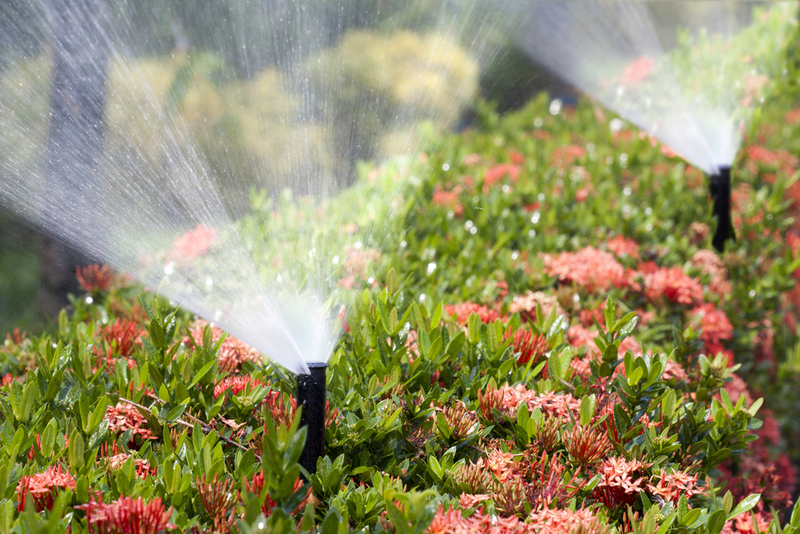 Deep Watering: By watering your plants deeply, but infrequently, helps your grass grow a deeper root system. Set your lawn mower to a higher setting. Mowing at a proper height, such as one of the two highest settings on your mower, helps grass grow thicker. This will shade any weed seeds and make it harder for them to grow. Proper Feeding: Feeding your grass regularly (every 6-8 weeks during your grass’ growth season) helps your lawn fill in barren spots and make it less fertile ground to weeds. Upkeep is important. Your lawn relies on a care program that provides regular nutrients it needs to achieve the color, health and thickness it needs to thrive. Great lawn care takes more than just occasional watering and a good mow. 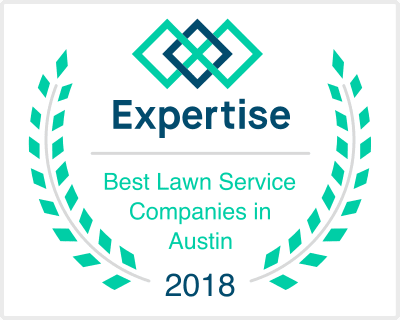 We at Lawn Care Service of Cedar Park can help you build a successful program specifically designed for the care and maintenance of your lawn. Call or text us at (512) 595-0884 for a free estimate. ​Whether you want to renovate your existing landscape or start one from scratch, knowing plants needs and tolerances is crucial. We at Lawn Care Service of Cedar Park have the knowledge and experience to help. We do more than just mow lawns and rake leaves; We can flex our designer and creativity muscles to make your property beautiful. 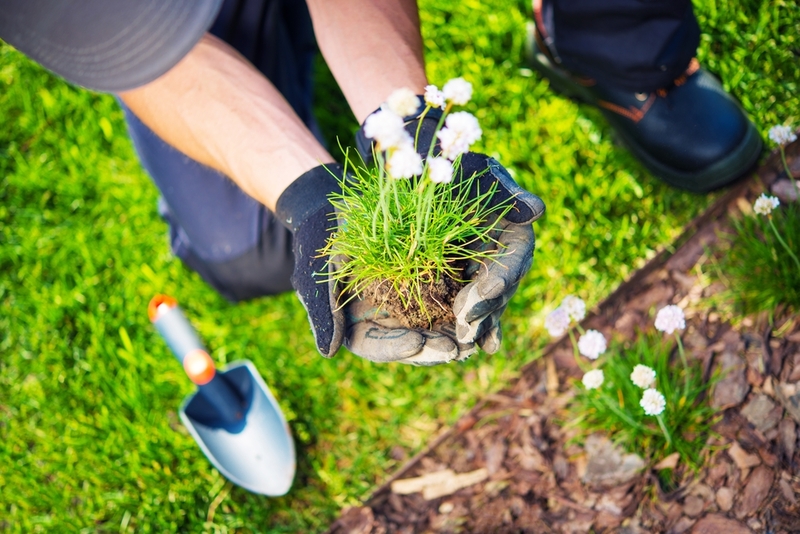 Does your existing landscape need some maintenance, or are you looking to design a new look? Our experienced team is happy to take jobs of all sizes from flowers to trees, sod installation to water features, or hedge trimming to gardening. Let us help you add life, color and curbside appeal to your home. Our landscaping services include: lawn edging, mulching, building flower beds, planting gardens, hedge trimming, shrubs and tree pruning/planting, water feature installation, lighting feature installation, placing walkways. 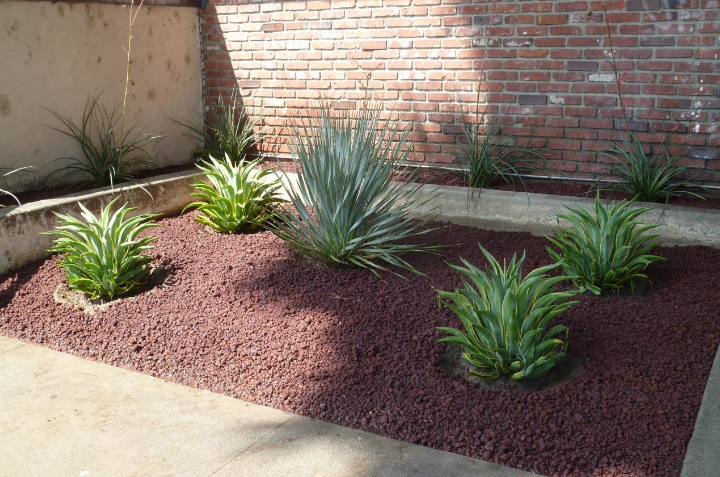 The amount of maintenance needed really depends on the type of landscaping you install. Some plants may require special attention to weeding, fertilizing, irrigation and pruning. On the other hand, native plants may require less maintenance because they thrive well in the existing environment. Decks and fences benefit from the occasional cleaning and power washing to look attractive. Weeds tend to pop up between bricks and large rocks, so weeding is also a maintenance consideration. Before committing to a landscaping project, consider the budget, dimensions and details of the project. Sticking to the landscaping plans keep the project organized and help calculate materials needed. For larger landscape projects a landscape designer or architect can help you create a plan that will work. When it comes to landscaping and its maintenance, Lawn Service of Cedar Park is prepared to help you realize your vision. Contact us at (512) 595-0884 for a free estimate. Garden maintenance takes one thing above all else: time. Not all of us can take the time required to do this. Hiring a garden care professional saves you the time and still makes your garden look like the best one in the neighborhood. Just give us a call or text at (512) 595-0884, for prices and estimates. Before you know it, we’ll be taking care of your garden for you. So just sit back and enjoy your scenery. 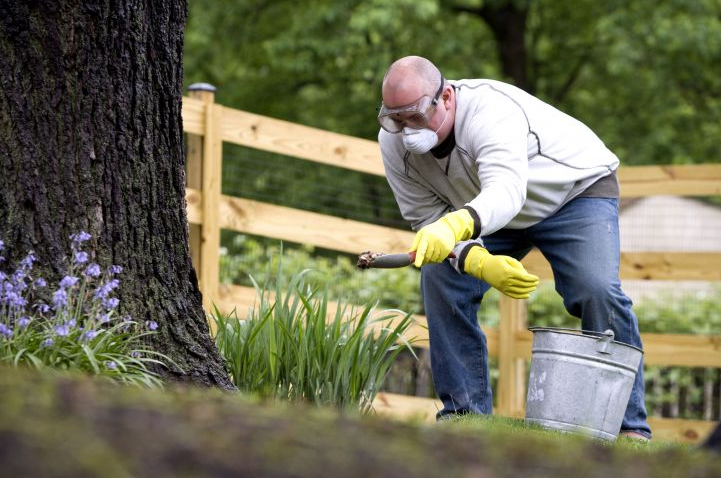 Here are a few tips to keep your garden care chores to a minimum. The more complex your new garden design is, the more time you will be spending out in the garden keeping it in tip-top shape. You may consider a simpler design that is also quite beautiful. Do some planning, looking and thinking before consulting a landscape designer to make sure you get the right garden for you, whether you’re building a new landscape or revamping an old one. Your time will be well spent. Choose Easy-Care Plants. When we really get down to it, some plants (not unlike some people) are high maintenance. Others may need just a little help getting established, and then they flourish on their own. Slow-growing and dwarf type require less pruning to keep them in bounds. 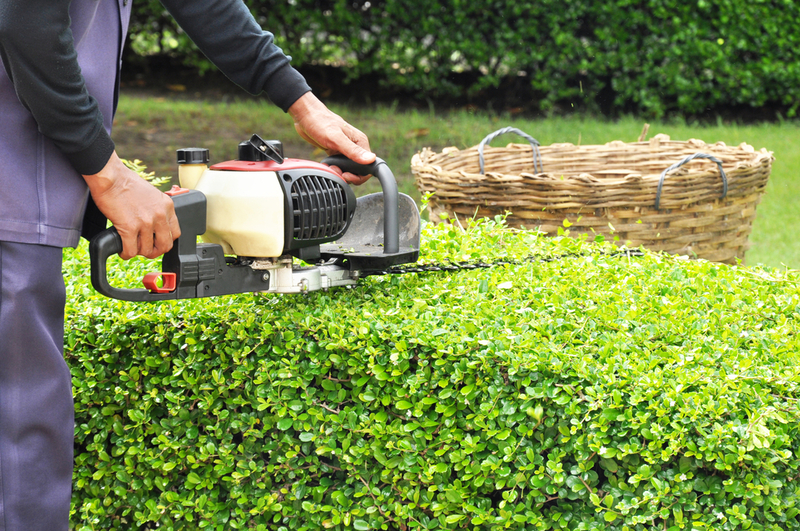 If you’re looking to plant something like evergreen shrubs, keep in mind that trimming them into the exotic shapes will mean far more regular pruning and maintenance than would be needed for their natural shape. Selecting plants that are adapted to your area makes it far less prone to disease or insect attack. There are a wide variety of native and adaptive plants, trees and shrubs to fill every landscape vision you have in mind. Most types of euonymus, often called a spindle tree, for example, are often widely planted for ornamental purposes. These unfortunately also are magnets for diseases like powdery mildew or scale, and should be placed away from other plants. Looking to spruce up your patio, porch or poolside? Fill those areas with beautiful containers of flowers and tropical plants. Decorating the exterior of your home makes your porch look more inviting and welcoming. Be sure to place plants that will withstand your local weather conditions at their extremes. Many native and adaptive evergreen shrubs are drought resistant, so they are often chosen. Adding shrubs, flowers, vegetables create a beautiful arrangement and some plants are perfect for attracting butterflies and hummingbirds to your garden. Just remember: from lawn maintenance to landscaping service to gardening service, Lawn Care Service of Cedar Park is prepared to help you create your dream yard. What are hardscapes? Hardscapes refers to outdoor structures made of concrete, brick, stone, or masonry. Are you considering a deck or a patio. You can add considerable appeal and value to your outdoor living space with the right hardscapes, and our ideas can help inspire you to create the kind of space you've dreamed of. Begin by identifying a focal point. You'll want your design to feel like it has a purpose - whether it's for outdoor dining, a fire pit, or a sitting area with a flat-screen TV.